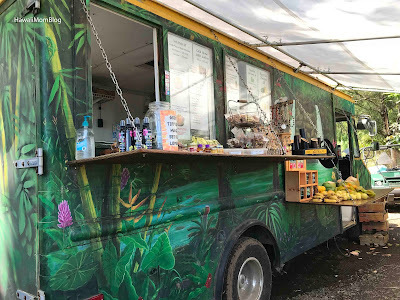 After having to be turned back from the rest of the Twin Falls Hike due to recent heavy rains, we stopped at Twin Falls Farm Stand to re-hydrate. The farm stand sells all sorts of goodies - banana bread, smoothies, popsicles, and fruit. If you forget your bug spray for the hike, they sell that too, but they don't sell any bottled water! 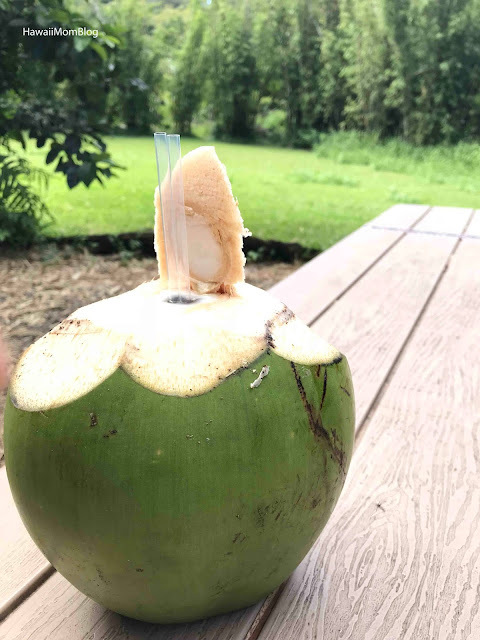 Instead, they sell coconuts so you can drink coconut water! Since Nadia didn't try coconut water before, she decided to buy one. 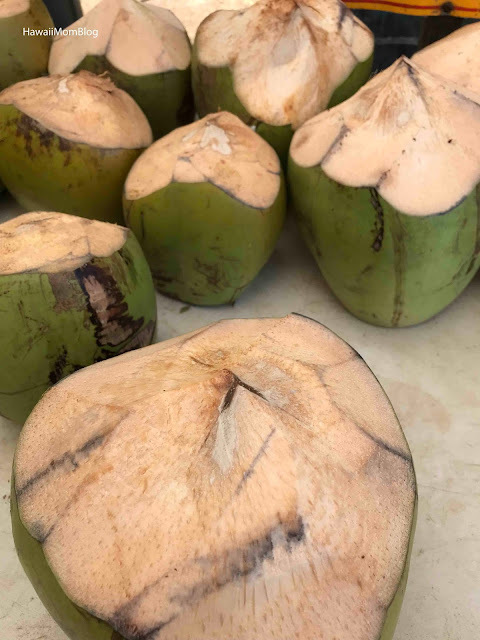 The employee working at the stand said they go through about 100 coconuts a day, and the younger and greener the coconut, the fresher the water is. The perfect way to re-hydrate after hiking Twin Falls (even if the hike is cut short).